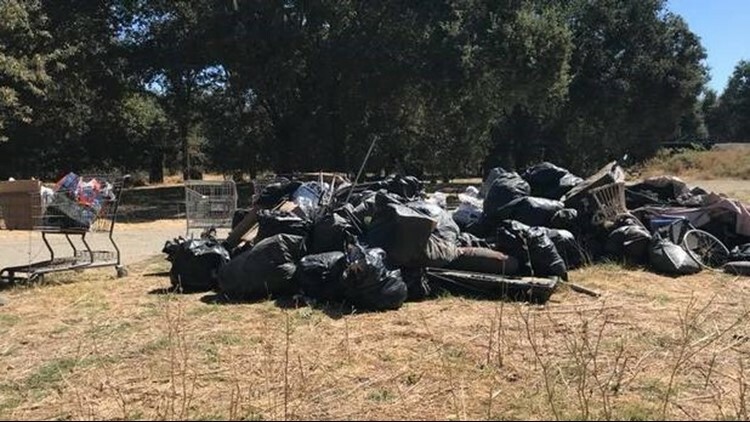 An estimated 10 tons of trash was picked up by volunteers along the American River Parkway on Saturday, according to the American River Parkway Foundation. An estimated 20,000 pounds or 10 tons of trash was picked up by volunteers along the American River Parkway on Saturday, according to the American River Parkway Foundation. Some 1,400 volunteers met at 21 locations along the parkway for the non-profit's biggest annual cleanup event. "So people can come out here and use the American River Parkway in a safe manner without having to worry about all this trash that kind of clutters the area," said Justino Santan, the volunteer coordinator with the parkway foundation. The American River Parkway Foundation hosts a number of community cleanups each year. If you're interested in volunteering you can find opportunities by clicking here. The event lasted from 9 a.m. to noon on Saturday.